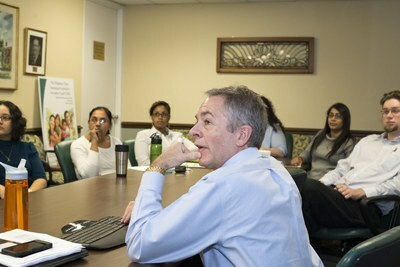 The goal of the University of Louisville Child and Adolescent Psychiatry Residency is to produce psychiatrists that specialize in the delivery of skilled and comprehensive medical and psychiatric care of children and adolescents suffering from psychiatric disorders. At the end of training, each resident will be prepared to take the subspecialty examination of the American Board of Psychiatry and Neurology. The philosophy and orientation of the Division of Child and Adolescent Psychiatry is developmental and psychodynamic with a strong emphasis on advances in the neurosciences. This approach acknowledges the importance of familial and diverse sociocultural factors in diagnosis and treatment. In selecting applicants and training residents, the faculty and professional staff of the Division of Child and Adolescent Psychiatry is committed to the career development of trainees, promoting clinical excellence and professional integrity. The Division is also committed to selecting applicants with diverse backgrounds and experiences. If you are interested in applying to the Child and Adolescent Psychiatry Residency program, please apply online by clicking this ERAS Application link. Thank you for your interest in the Child and Adolescent Psychiatry Residency Training Program at the University of Louisville School of Medicine. For questions regarding the program and details on how to apply, please contact us weekdays 8:00 A.M. -5:00 PM EST.